Carl's Curios: No G'donka here ~ name the odd one out and give as much information about each Item as possible please. No G'donka here ~ name the odd one out and give as much information about each Item as possible please. 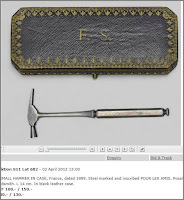 (1) Guessing - goldsmith's hammer ? Cased. English ? Early 19th century. (2) Horseman's hammer. Eastern European (Polish ?). (4)As (2) - bit later perhaps,. (5)No real idea. Turkish brass ditto, perhaps. 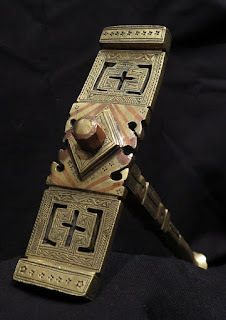 (6) Chipwork carving looks possibly Welsh. 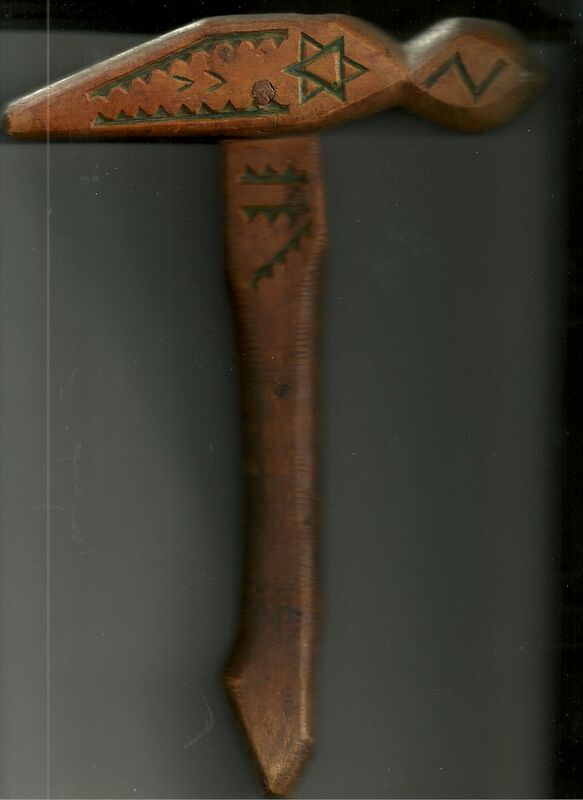 (7)Silver mounted claw hammer. Possibly belonging to a carpenter who had just won the pools ???? 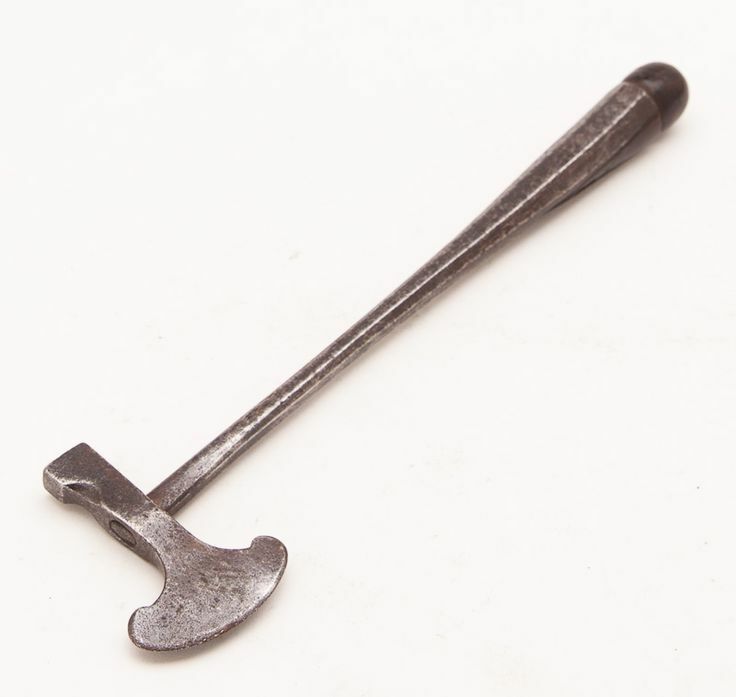 (8) Possibly a toffee hammer used in an early Victorian sweetshop, circa 1850. 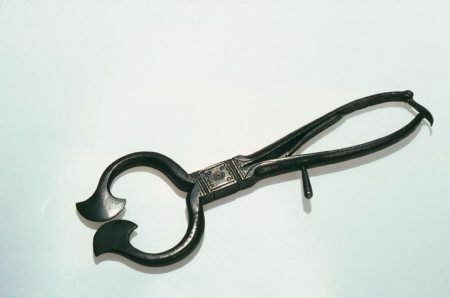 (9) Pair of sugar nips, used in kitchen to chop sugar loaf in to manageable bits. 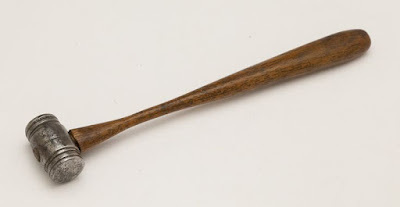 English, probably circa 1820-40. P.s. Odd one out is possibly number nine - two piece, and peaceful, as opposed to one piece and warlike ? 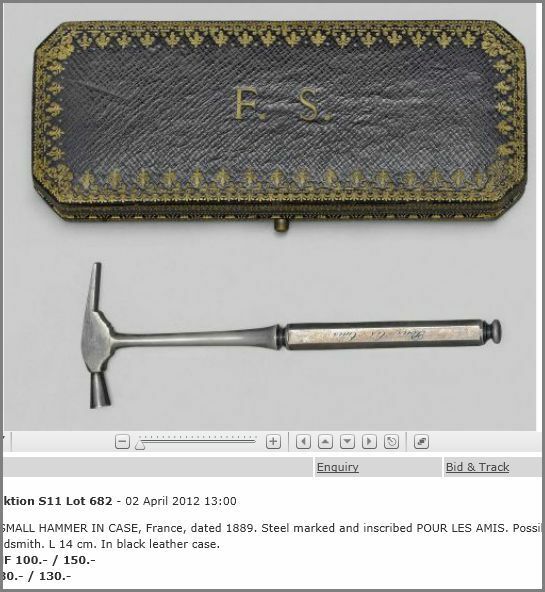 All catalogued as Sugar or toffee implements ( although I'm doubtful about 7 which gives the impression of being a claw hammer) while odd one out, number 3 is catalogued as a silversmith's planishing hammer. 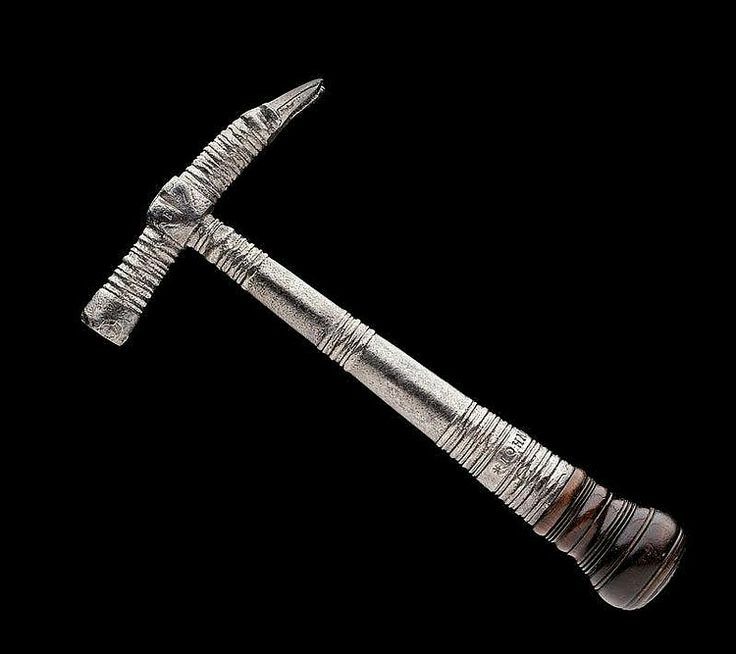 Number 5. is a Taureg sugar hammer. 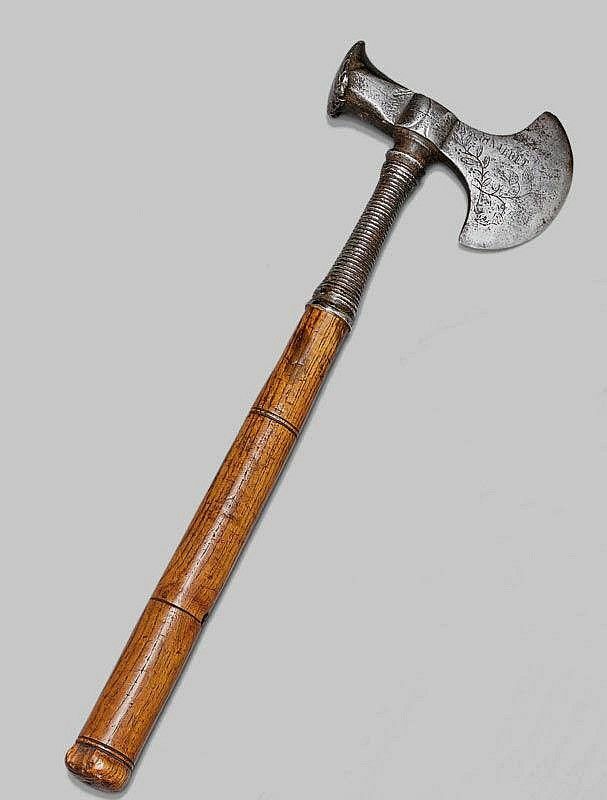 2. does look a bit like the farrier's axe but is too light-weight and pretty for that job, catalogued as an early French sugar hammer. 6. is just given as a wooden sugar hammer (though I doubt if it was up to doing the job. This is like an A-Level history paper before they axed the chief examiner and dumbed-down. 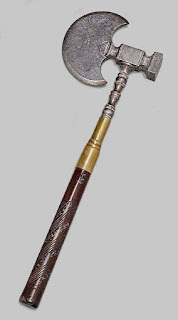 What is it with you Horners and instruments of harm? We like to stay on the operative end of them Rog.